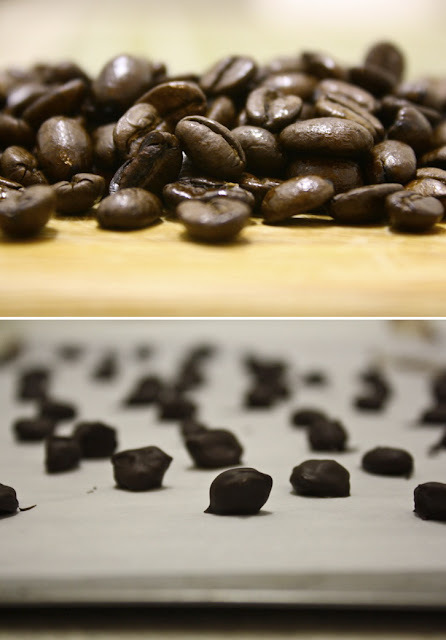 Making your own chocolate covered espresso beans sounds easy enough... just dip the roasted beans in melted chocolate, right? Well let me tell you, it was a highly tedious and messy project... Imagine dipping each individual bean in chocolate and carefully placing it on a tray to harden, over and over and over again. Even though they tasted delicious, I doubt I'd ever go through this hassle again!